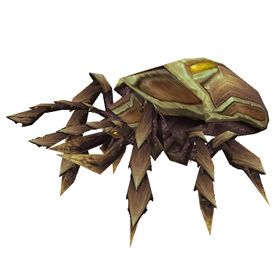 This pet is redeemed through the common 'Sand Scarab' loot card from the World of Warcraft Tomb of the Forgotten TCG expansion. The card may be scratched to reveal a code allowing access to this pet. 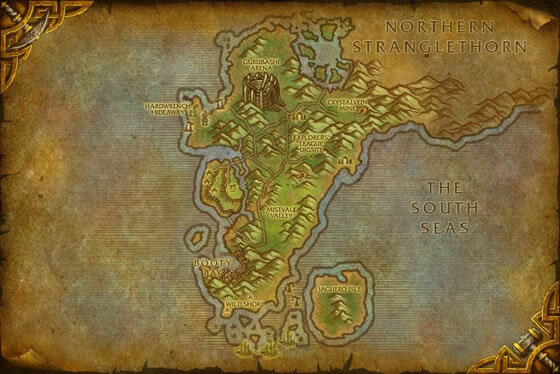 The code may be redeemed at Blizzard's promotion retrieval page. The pet may be obtained in-game from Landro Longshot in Booty Bay. I got this guy a few weeks ago. I was just walking around, looking at the TCG cards, and grabbed a pack. Bought it, went out into my car, and what do you know... It was in the pack. EDIT: After buying another pack, I found out I got another, and gave it to a friend. Seems like these guys are really common, so you should probably pick up a few packs, and give it a go at getting one of these guys! I purchased this off ebay for 4.65 with free shipping. Not too bad. I was having a bad day and running errands. I happened to see a pack of these Trading Cards for $5, and took a chance. I'm pleased to say that the first little pack (15!) of cards I've ever purchased, I stumbled upon this little guy. Zul'Farrak has always been my favourite dungeon, and this scarab is truly adorable. While yes, he is pretty brown and neutral - he's easily one of my most prized thus far. It has a nice scanning animation where it tilts its head and sniffs the air with its feelers, like real beetles do when air currents wash over them....very authentic! Has a nifty swimming annimation - appropriately creepy (I don't like bugs). Looks great when used with "Blessing of the Old God" or the Ultramarine Qiraji Battle Tank and Pendant of the Scarab Storm - all of which I am lucky to have! The pet is decently sized. About the size of a dwarf boot. It seems to draw a bit of attention but that may be because its fairly new. I think that it takes a certain type of "love" to really enjoy this pet. Its roughly 2x-3x the size of the Pendant swarm item beetles and shares the same skin. It does kind of look like a bedbug. A rather large one. Eeewww! Easily mistaken for a common beetle, the sting of a sand scarab will quickly clear up the misconception should you be unlucky enough to be stung by one.